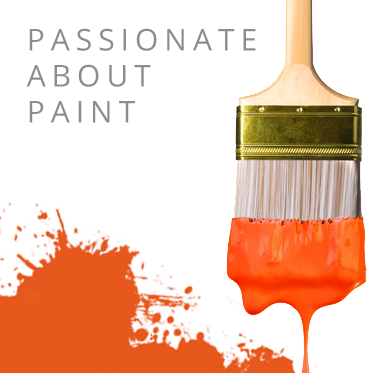 Bradite Fastrac Antico Primer AP71 is a very fast drying high build modified alkyd primer, pigmented with zinc phosphate. Manufactured under the auspices of an ISO 9001:2008 quality & ISO 14001:2004 environmental management systems. Bradite Fastrac Antico Primer is intended for use as a fast drying prefabrication or system primer on properly prepared ferrous surfaces. It is suitable for use on ferrous surfaces blast cleaned to SIS Sa 21/2 minimum or mechanically prepared to SIS St 3 minimum. Also suitable for coating over compatible coatings which are clean, dry and abraded. Brush and Roller – supplied ready for use. Thin with 0 - 5% Bradite Thinner TX31 if required. Conventional Air Spraying - Thin with 10 - 20% Bradite Thinner TX31 as required, tip size - 2.0mm, tip pressure 60psi (0.4MPa) approximately. Airless Spraying - Thin with 0 - 15% Bradite Thinner TX31 as required, tip size - 19 thou (0.48mm) approximately, tip pressure - 2100 psi (15MPa) approximately. Intact areas of existing coatings should be roughened by abrasive manual or disc sanding, feathering back to a sound coating edge. Cracks and pits should be filled using a suitable metal filler before painting. Substrate should be dust free and completely dry before coating. 2004/42/EC EU limit value for this product (cat.A/i sb): 500g/l (2010). Light surface rusting may be effectively treated using one coat of Bradite Rust Converter RC46 prior to application of Bradite Fastrac Antico Primer AP71. New galvanised steel should be thoroughly degreased and then pre-treated with Bradite Mordent Solution TM38 prior to application of Bradite Fastrac Antico Primer AP71. Alternatively, or for other non-ferrous metals, prime with Bradite Barrier Primer EU96 before application of Fastrac finish. Suitable for use under many Bradite finishes such as Fastrac Gloss ME53 & Fastrac Semi Gloss SE53. Suitable Substrates: Suitably prepared steel degreased, blast clean to SIS-Sa 21/2 min or mechanical/manually prepared to SIS-Sa 3 min. Previous suitable coat dry, clean and abraded as necessary.